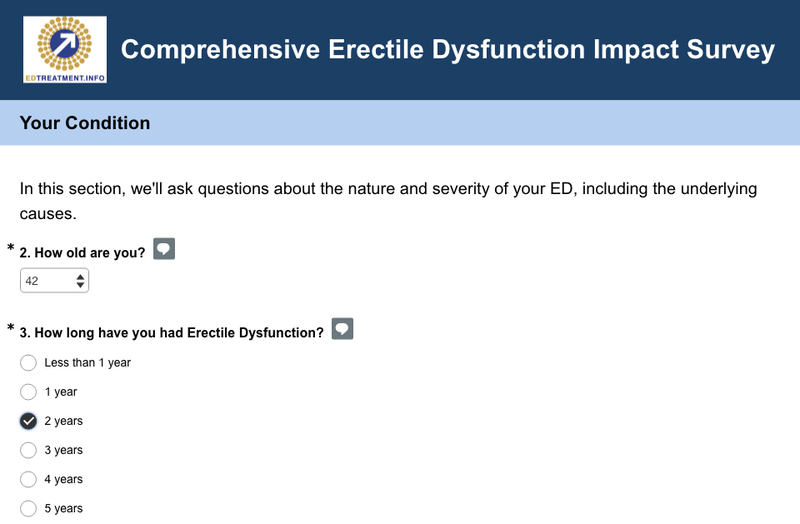 While our site is under construction, we are launching our first project… a comprehensive study of how erectile dysfunction impacts men and their partners. We plan on sharing the results with the medical community through one or more papers, as well as using the information to guide the development of our own site. This is an important study that we believe will help ED sufferers (and their partners) for years to come. It’s a chance to share your experiences, and help other ED sufferers. The survey is rather long… in our tests, it took respondents 10-15 minutes to complete. It is completely anonymous, unless you choose to provide contact information. If you currently have ED, we would appreciate you taking the time to go through the survey. If you know someone who has ED, feel free to forward a link to this page. This survey is now closed, and the results are available for download.